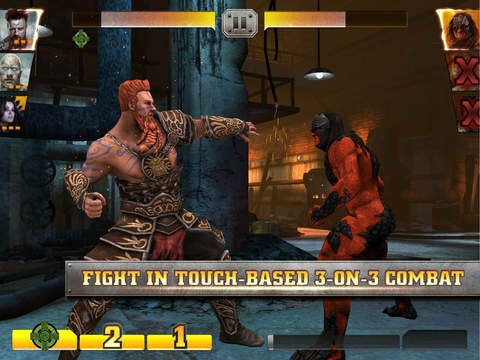 NetherRealm Studios, the creative team behind Mortal Kombat and Injustice: Gods Among Us re-team with Warner Bros. to launch WWE Immortals, a new Injustice-style collectible card / fighting game featuring supernatural versions of popular WWE stars like Triple H, John Cena, The Undertaker, The Bella Twins, The Rock, Hulk Hogan, and many more. While I stopped watching WWE while it was still the WWF, I was a fan of Injustice: Gods Among Us, so I’ll definitely be checking this one out. NHL Hockey Target Smash is exactly what it sounds like, a light, fully licensed puck-shooting little time waster where you are flicking pucks into goals from varying distances and angles, trying to hit randomly placed, moving and stationary targets. There are various stick upgrades to unlock and equip as you try to work your way up to the Stanley Cup. 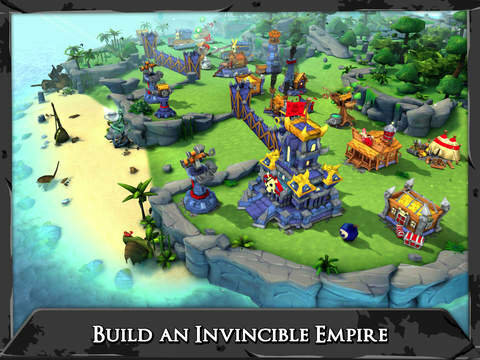 Next up is the free-to-play action strategy game,Raids of Glory, which looks like it is Chillingo’s cartoony pirate-themed attempt to capture some of that Clash of Clans booty. I’m generally not fan of these games, so I probably won’t be playing, but since it appears pretty polished, I figured it may be of interest to others. Battle of Toys looks like a fun little brawler with big nostalgic appeal as you collect and level up action figure toys which you then use in head-to-head battles with other toys in ‘your bedroom’. (Sounds awesomely familiar). A pretty cool concept, I’m curious to see how this one plays. Somebody alert Young MC, classic marble popper, Bust-A-Move is back in an original new free-to-play game called Bust-A-Move Islands.” Join Bub and Bob as they bubble-burst their way through bright and beautiful fantasy islands!” Featuring over 200 levels daily leaderboards, unlockables and in-game special events, Fans of the series will probably find this one appealing (assuming its means of monetization is not atrocious), so what are you waiting for…bust-a-move. After an odd disappearing act last week, Worms-creators Team17 has officially released their Lemmings-ish sheep-filled (dark humor) puzzle game, Flockers on iOS. Players must guide their flock of sheep through a minefield of gruesome trap left by the Worms through 60 different levels. This was released on consoles last September to mixed reviews. Already picked by Apple as this week’s Editor’s Choice, Shadowmatic is a gorgeous-looking puzzle game from iOS newcomers TRIADA Studio. Players must rotate abstract objects that have been placed within the beam of a spotlight, to form silhouettes (in the projected shadows) which appropriately fit with the surrounding environment. 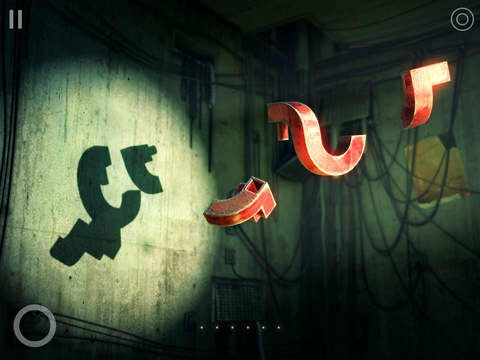 The game looks quite stunning and much different, more puzzling take on the ‘rotate the object to find the match’ genre . Apple may have finally made a wise choice this week. Based on the 2010 PC game Puzzle Dimension, DeNA brings us Unpixelate (3D puzzle). It is a single-touch puzzle game in which players simply touch the screen to the front, back or side of the ball to get it to roll in that direction along a collection of suspended 3D platforms. Rolling over these platforms causes them to become ‘unpixelated’ and you must clear all of the pixels and collect special blocks to unlock the exit. It almost feels a little like a mix of marble madness and PAC-MAN. As you progress through the 100 levels, new elements are introduced including spikes, buttons, various block types and more, adding to the difficulty. 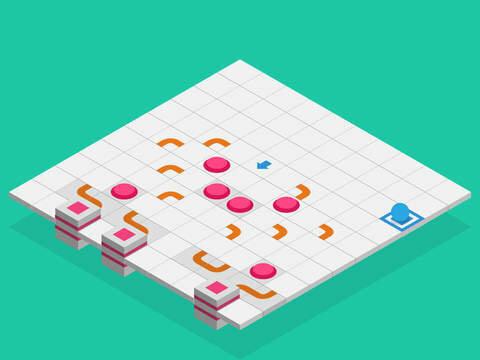 Speaking of balls…next up is Socioball, a cool little programmed movement-ish puzzle game with an appealing minimalist aesthetic. You must place a pool of tiles into the missing spaces in the 10×10 gridded platform such that when the ball is placed on the specified starting square, that it successfully rolls to the target square. There are titles with curves, others which cause the ball to jump, teleportation tiles, buttons and more. Sometimes there are even extra tiles to throw you off. If you like puzzle games, then this could be a good one to add to your collection, though having played through a percentage of it now, it does seem to trend toward the easy side, at least in the earlier stages. However as you can see in the screenshot, it looks like it does get a bit tougher. The latest title from the Dutch, one-man development studio, Orangepixel, Gunslugs 2 is a frenetic retro-style run ‘n gun arcade game which draws inspiration from 80s action movies and arcade games like Contra. Over the top bullet counts, explosions and frequent mowing down hordes of enemies (big and small) is just par for the course. Once you have beaten the game’s story mode, you’ll unlock an additional arcade mode. I somehow missed the first game in the series, but this one is a little slice of chaotic fun and reckless destruction. Odds are if you’ve played a Nintend video game console sometime in the last 5 years, you’ve probably experienced Wii Sports at some point. With their last few app releases, Rolocule Games has tried to recreate (and arguably improve upon) this traditionally console-only, physical, motion-based gaming experience by utilizing a combination of your iPhone or iPod Touch and the Apple TV. In 2013 they launched Motion Tennis, a Wii Tennis like game. Last year they released Dance Party ™, their own rhythm dancing game, and now they’ve just come out with Bowling Central, a Wii Bowling-like experience which is designed to be played on your TV with your iDevice acting as the Wiimote/Ball. Though the motion controls are optional, this is really the way the game is meant to be played and it seems to work surprisingly well (just make sure you keep a good grip on that phone). 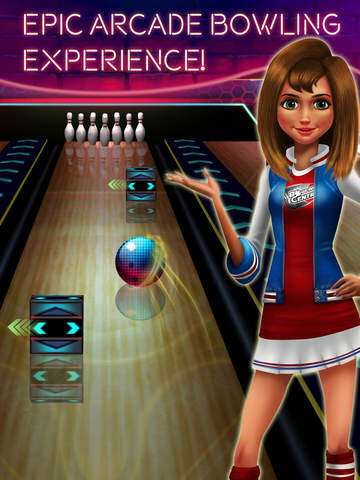 The game features standard 3, 6 or 10 frame play, or you can progress through a series of neat challenges which place obstacles you must avoid on the lanes and target pin counts. Last, but certainly not least is Tin Man Games’ latest digital gamebook, Fighting Fantasy: Bloodbones. A fantasy adventure from Steve Jackson and Ian Livingstone you hit the high seas to exact your revenge against the dread pirate Cinnabar, who murdered your parents. Featuring all of the nice little features and polish that we’ve come to expect from Tin Man Games, Fighting Fantasy: Bloodbones looks like an excellent seafaring adventure, worthy of a pickup. And that’ll do it for this week…enjoy.